Powell River Kings defenceman Jeremy LeClerc has been named the BCHL Player of the Week for the week ending Nov. 29, the league announced on Monday. 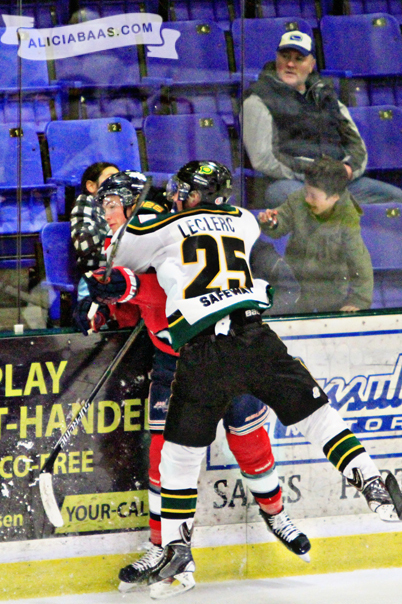 LeClerc scored a pair of goals from the back end, including his second game-winner of the season, to help the Kings to a home doubleheader sweep of Cowichan Valley. The native of Saskatoon scored his first of the weekend in a 6-1 win Friday over the Caps and he came through with the decisive goal in the third period to lift the Kings to a 3-1 win the Saturday game. The 6-foot-1, 195-pound D-man was sound in his own end too as the Kings allowed just two goals on the weekend. LeClerc leads Kings defencemen in goals on the seaosn with six. It wasn’t pretty, it wasn’t textbook and it was far from complete…but the Kings got the job done and are rewarded with outright 2nd in the Island Division, courtesy of a 3-1 victory on Saturday over the Cowichan Valley Capitals. 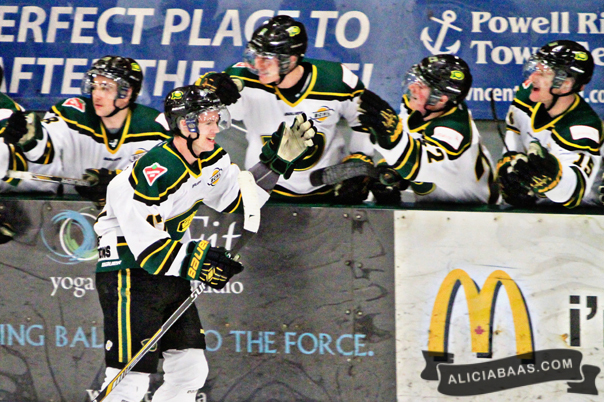 The Kings quite simply got the job done Saturday against Cowichan. It was far from the dominant and convincing win we saw Friday night, but the 2 points earned then look awfully similar to the 2 points earned Saturday. On that thought, the Kings were really lacking conviction in the way they moved the puck. Credit the Caps for a better effort and a much better start, but the Kings moved away from clearing puck the first time and finding those tape to tape passes and instead put a lot of pucks into feet and opposition control. A big moment in the game was that disallowed goal for the Caps where it had looked like Patrick Geary had poked a puck home after Jeff Smith had frozen it. The referee pointed to the back of the net, but then after a conference at centre ice the decision was overturned. The only feedback I got on that play after the game was that the referee had apparently blown the whistle before the puck crossed the line, but if that’s the case I’m not sure why the man down low pointed in the back of the net to begin with. Either way it didn’t count and kept the game tied at 1 heading into the 2nd intermission. No doubt deflating for Cowichan who had not had much luck in the weekend so far. A short written recap due to a busy Sunday for me, but a lot of topics covered in the video below so check out the post game chats with Hunter Findlater and Brock Sawyer. Some bonus video from the game is another Jack Long special, this time on Patrick Geary after a nice breakout pass was reeled in and generated a partial break only to be closed down by the 16 year old defenceman. It’s pretty nice. 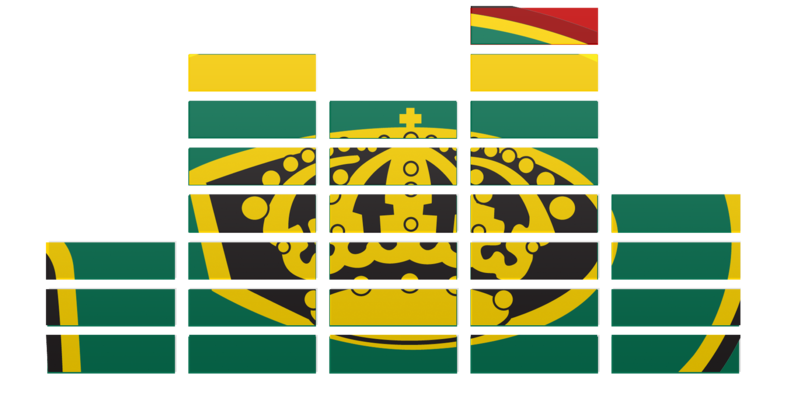 The Kings are now outright 2nd in the Island Division thanks to a weekend sweep over the Caps, two back of the Nanaimo Clippers with a game in hand and 1 up over the Capitals, also with a game in hand. The Kings host the Victoria Grizzlies at the Hap for a pair this coming weekend, Saturday night and Sunday afternoon. 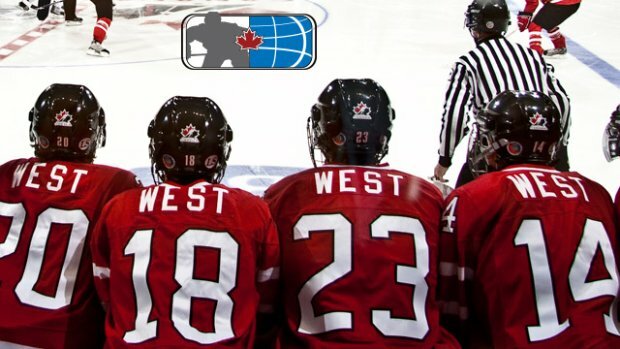 Stefan Wornig, Kyle Betts and Carter Turnbull have all been selected for the 2015 Canada West Selection Camp, set to go in Calgary next month. The camp will eventually pick a Canada West roster that will compete at the 2015 World Junior A Challenge in Whitby and Coberg, Ontario from December 13th to 19th. 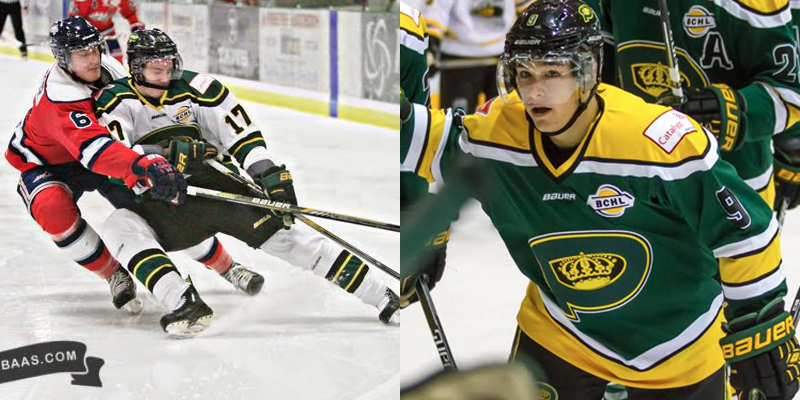 The Kings have consistently been well represented at the tournament, most recently with Kurt Keats captaining Canada West last season. There will be 18 players from the BCHL among the hopefuls for Team Canada West and the 2015 World Junior A Challenge (WJAC). Kings Broadcaster Alex Rawnsley breaks down the numbers from a very successful Interior road trip for the Kings this past weekend, plus looks ahead to a double header against Cowichan at the Hap.